The Chief Editor of the Oxford English Dictionary, John Simpson, announced that "tweet" has been added to the dictionary as both a verb and a noun. Normally, a word has to be around for ten years before it is considered for inclusion in the OED. Simpson, though, said that use of the word to denote a message sent via Twitter "seems to be catching on". 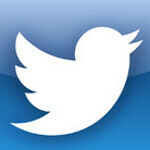 The word "tweet" itself dates back as far as 1851 when it was first used as a description of a bird call. The definition of tweet now includes "to make a posting on the social networking service Twitter. Also: to use Twitter regularly or habitually." Ironically, the Oxford English Dictionary included the word "retweet" back in 2011, two years before the acceptance of "tweet". So kids, now that "tweet" is a noun or a verb, don't be afraid of using it in your reports. And if your teacher takes off points for using the word incorrectly, just pull out a new copy of the Oxford English Dictionary and let her catch up with the times.